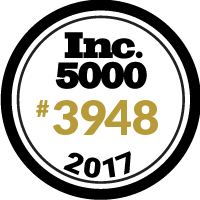 Scottsdale, Ariz. – Aug. 23, 2017 – vCORE Technology Partners has once again been ranked among the fastest-growing companies in the U.S. by Inc. Magazine – one of only five IT services companies in Arizona to accomplish the feat for at least three consecutive years. The Inc. 5000 list measures revenue growth among privately-owned U.S. companies across dozens of industries. 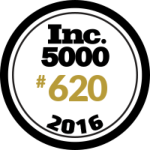 vCORE’s sustained growth sets the company apart from an estimated 6 million businesses nationwide. vCORE, which was founded in 2010, is a leading provider of enterprise technology solutions, ranging from hybrid cloud and security to software-defined infrastructure and data protection. The company has grown quickly to include locations in seven states and Canada, with more than 100 clients from industries including aerospace, finance, health care and data center. “We don’t believe in growth for growth’s sake, but attracting experienced, skilled engineers and opening new geographies helps us better support existing clients while offering our consultative approach to more enterprises who value that kind of partnership,” vCORE Founder/CEO Steve Leavitt said. vCORE’s deep technical expertise in a variety of IT practices landed the company a spot on CRN’s Tech Elite 250 earlier this year. Other recent accolades include a fourth-consecutive spot on CRN’s Fast-Growth 150 list of technology integrators and recognition from Inc. Magazine as one of the best workplaces in the U.S.
Headquartered in Scottsdale, Ariz., vCORE maintains a regional presence in in Irvine, Calif.; Honolulu, Hi. ; Calgary, Alberta; Seattle, Wash.; Atlanta, Ga.; Las Vegas, Nev. and Denver, Colo.
Parker Leavitt, 602-206-0226 or parker.leavitt@vcoretec.com.